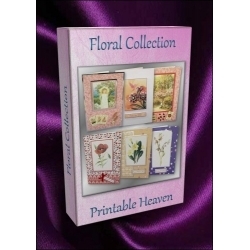 Printable Heaven CDs and DVDs There are 33 products. 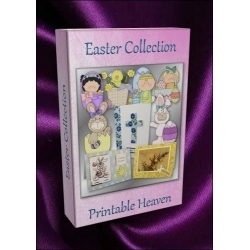 This DVD is crammed full of more than 400 great quality A4 sheets and clip art embellishments which are just brilliant for Christmas cardmaking and scrapbooking projects. There are also lots of example cards to provide inspiration. 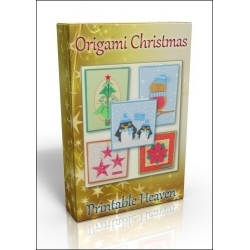 This DVD is crammed full of more than 380 great quality A4 sheets and clip art embellishments which are just brilliant for Christmas cardmaking and scrapbooking projects. There are also loads of example cards to provide inspiration. If you were to buy all the contents of the disk as downloads they would cost you nearly £25, so this DVD is a real bargain! 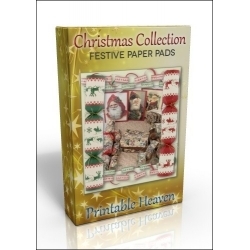 This DVD is crammed full of 17 Christmas Digital Pads, each of which contains at least 10 sheets of A4 size printables that co-ordinate beautifully. In total there are 181 sheets! 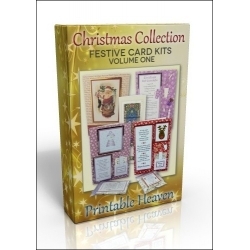 This DVD features 17 of our Christmas Digital Card Kits, each of which contains a number of sheets of A4 size printables that co-ordinate beautifully to make a lovely Christmas card. If you were to buy all the contents of the disk as full priced downloads they would cost you £17, so this DVD is a real bargain! 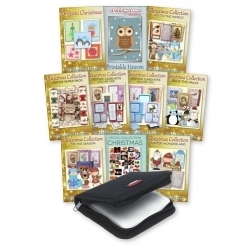 This DVD features 16 of our Christmas Digital Card Kits, each of which contains a number of sheets of A4 size printables that co-ordinate beautifully to make a lovely Christmas card. If you were to buy all the contents of the disk as full priced downloads they would cost you £16, so this DVD is a real bargain. 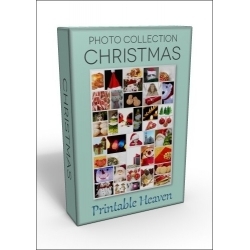 This fab DVD collection contains 500 great quality Christmas photographs which can be used for practically anything you want to, as many times as you like, without paying royalties or commissions to anyone! Save Over £200! 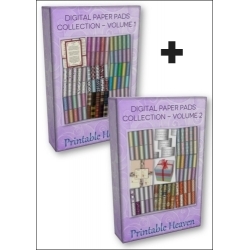 Due to quite a few requests we've decided to offer our collection of 31 Printable Heaven DVDs at the absolutely fabulous price of £119. A quick bit of maths will tell you that's just under £4 a disc, a price that we will never discount the individual DVDs to. 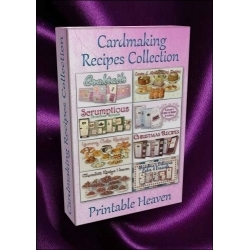 This DVD is crammed full of more than 200 great quality A4 sheets for cardmaking and scrapbooking projects from 8 of our lovely recipe sets. There are also lots of example cards to provide inspiration. This DVD is crammed full of 30 of our Digital Paper Pads, with a total of 300 sheets of A4 size printables that co-ordinate beautifully. If you were to buy all the contents of the disc as downloads they would cost you £30, so this DVD is a real bargain! 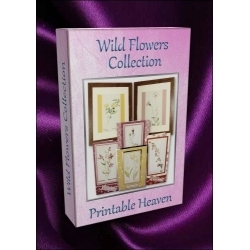 This DVD is crammed full of 240 great quality wild flower A4 sheets plus three 'Digital Paper Pads', each featuring 10 sheets of lovely floral background papers that we've used with the wild flower sheets to complete some lovely projects. 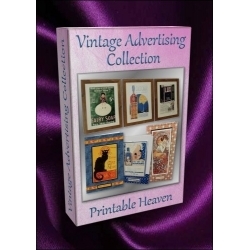 This DVD is crammed full of more than 400 great quality vintage advertising A4 cardmaking sheets, Postcards and A4 Prints. There are also example projects to provide inspiration. There's everything from lovely French Advertising to images produced by the wonderful Czech artist, Alphonse Mucha. This disk is a natural 'follow up' to our Men's Collection as it includes lots of sports, cars, travel and other transport. It's not just for men though! 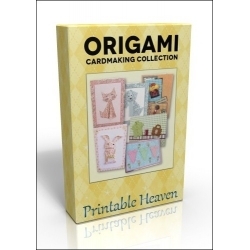 The DVD is crammed full of more than 400 great quality A4 sheets and clip art embellishments for cardmaking and scrapbooking projects. There are also lots of example cards to provide inspiration. This DVD is crammed full of more than 400 great quality ladies fashion themed A4 sheets and clip art embellishments for cardmaking and scrapbooking projects. There are also example cards to provide inspiration. 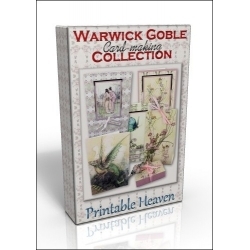 This DVD is crammed full of more than 300 great quality A4 sheets, spooky photos, vintage images and clip art embellishments which are just brilliant for Halloween cardmaking and scrapbooking projects. In fact, the DVD contains all the downloads that are on our Halloween page. There are also example cards to provide inspiration. 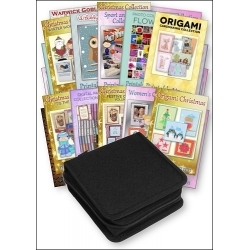 This DVD is crammed full of more than 650 great quality A4 sheets and clip art embellishments which are just brilliant for cardmaking and scrapbooking projects aimed at children. There are also example cards to provide inspiration. This DVD is crammed full of more than 200 great quality baby themed A4 sheets and clip art embellishments for cardmaking and scrapbooking projects. There are also example cards to provide inspiration. 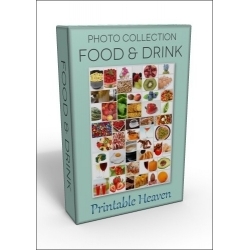 This fab DVD collection contains 500 great quality photographs of food and drink, all of which can be used for practically anything you want to, as many times as you like, without paying royalties or commissions to anyone! 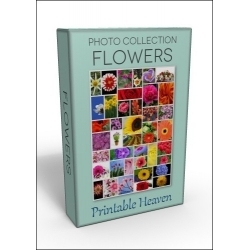 This fab DVD collection contains 500 great quality photographs of flowers, all of which can be used for practically anything you want to, as many times as you like, without paying royalties or commissions to anyone!